When it comes to business loans and financing, women who run their own businesses confront challenges that aren’t faced by men in the same situation.In A Rising Tide: Financial Strategies for Women-Owned Firms, published by the Kaufmann Foundation, authors Susan Coleman and Alicia Robb report that women seeking capital for first-year businesses receive about 80 percent less funding than men receive. The authors also note that women are less likely to receive equity financing, because women-owned companies tend to be less growth oriented, and women have less access to venture capital and angel investor networks.Fortunately, these barriers have not stopped women from starting their own companies. A report commissioned by American Express OPEN shows that 8.3 million women-owned businesses in the United States generate nearly $1.3 trillion in revenue and support nearly 7.7 million jobs. Also, the number of women-owned businesses in the U.S. is growing 50% faster than the national average.The level of success that women-owned businesses have achieved is remarkable because many women don’t even seek outside funding. In fact, the Small Business Administration’s Center for Women’s Business Research found that almost 50 percent of women business owners don’t look for outside sources of money to fund startup, operations or growth of their businesses. Funding sources: A quick comparison. Self funding. Many businesses rely solely on personal contributions, but this can present an added challenge for women because of the wealth and savings gap between men and women. SBA-backed loans. The Small Business Administration does not loan money directly to businesses; instead, the SBA guarantees a portion of qualifying loans made by approved lenders. SBA-backed loans feature competitive interest rates and business-friendly repayment terms, but strict underwriting requirements lead to relatively low approval rates. Also, personal collateral is required to secure most bank loans. Alternative lending. As conventional bank lending to small business has declined, the void has been filled by options such as alternative business term loans, revenue-based financing, merchant cash advances and invoice factoring. While alternative financing tends to cost more than other options, the cost must be considered in light of the relative inaccessibility of conventional financing. Business credit card. Many women-owned businesses rely on credit cards to finance business expenses. This can be a relatively expensive way to finance a business, and availability is limited to the owner’s personal credit limit. Equity financing. With equity financing, a share of the company is sold in return for funding. Funds do not have to be repaid, but the owner’s share of the company’s profits is diluted, and equity partners may exert some level of control over business decisions. As a practical matter, equity financing is very difficult to obtain, and women have a harder time accessing networks of venture capitalists and angel investors than men do. Other funding sources. Additional funding sources for women to consider include loans from friends and family, grants specifically targeting women-owned businesses, crowd-funding and peer-to-peer lending. When considering the financing options that are available to women who run their own businesses, it’s important to understand that most traditional bank lending decisions are based largely on personal credit scores. This makes it difficult for many business owners, men and women included, to obtain a conventional business loan. Also, most traditional bank loans require collateral, which presents a problem for owners who do not want to offer their home or other personal property as security for a business loan. Alternative financing can level the play field. Given the difficulties that small businesses have in accessing outside capital, more and more women are turning to alternative financing options. Many have found that these options are much more accessible than traditional bank financing. Also, alternative financing may be available even if a bank has already turned you down. Similarly, you won’t be disqualified if you have a tax lien with a payment plan or if you have a bankruptcy that has been discharged. The three most common forms of alternative financing that are available to women-owned businesses are business term loans, revenue based-financing and merchant cash advances. 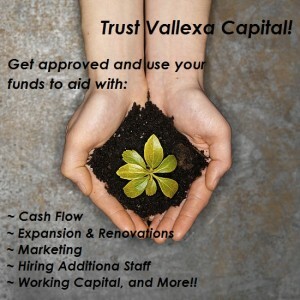 A business term loan can provide up to $250,000 in funding based on your revenue and the strength your business. This alternative loan option features fixed daily, weekly or monthly payments over a preset term. Revenue-based financing can provide $5,000 to $250,000 in funding in exchange for a portion of your future business revenue. Revenue-based financing is not a loan; it is a financing agreement where you agree to sell a portion of your future revenue at a fixed discount. A merchant cash advance can provide up to $100,000 in funding to businesses that transact most of their sales via credit or debit card. Repayment is automated, with a fixed percentage of daily credit/debit card sales taken directly from your payment processing system. Most alternative financing options can be accessed with a simple online application. 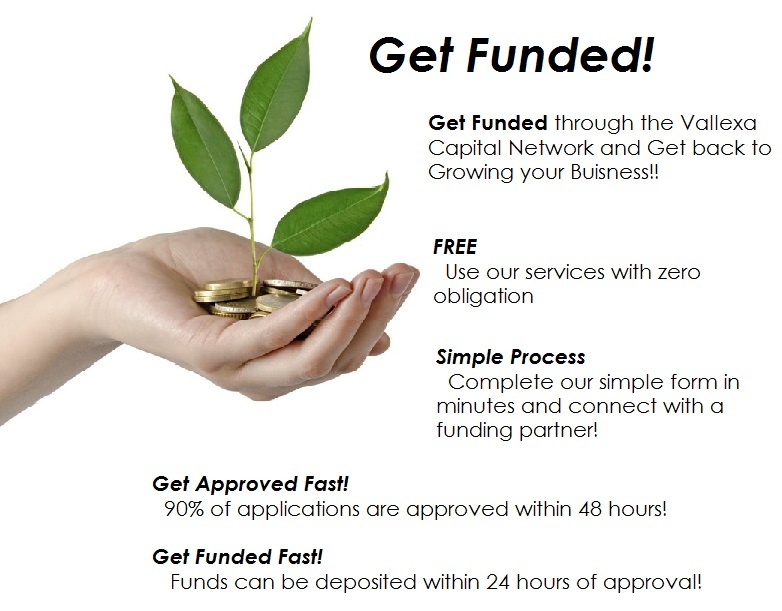 Once you have connected with a funding partner and finalized a funding agreement, money will be deposited in your business bank account within days.